The GIA Diamond Dock is one of the most important tools in our cut assessment arsenal. Besides providing the lighting environment GIA uses with their cut grading system, it allows the viewer to see and assess the optical characteristics of fire, scintillation, and brightness..  Although we perform many technical analyses on diamonds, if they don’t pass the human observation test, we disqualify them from our inventory. 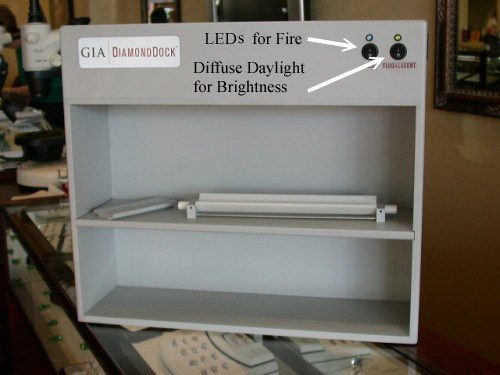 The DiamondDock uses direct LED lighting as well as daylight fluorescent lighting to observe the fire, scintillation, and brightness.  Using the DiamondDock is simple, as shown in Figure A. The diamonds are laid in a neutral gray tray inside the DiamondDock and the observer rocks and tilts the tray to observe the optical characteristics of the diamond. The DiamondDock test is the final phase of our optical exam and the one we deem most important. Figure B shows 2 diamonds side by side under LED lighting in the DiamondDock. LED lighting shows the fire and scintillation of a diamond. Although we can see some of the fire here, moving the diamonds gives a more dramatic presentation of the fire than this static picture does. After examining the diamond for fire and scintillation, we turn off the LEDs and turn on the daylight fluorescents to examine brightness. 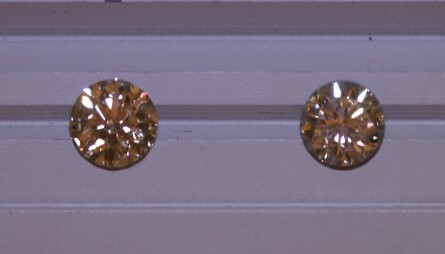 Figure C is a side by side shot of the same 2 diamonds in daylight fluorescent lighting. The difference is easy to see in the static picture, however rocking the 2 stones in the DiamondDock makes a more dramatic comparison.  While the DiamondDock was built for the purpose of cut analysis, the equipment has come to be used by gemologists for color grading as well, providing the flat white background for easy observation of color. 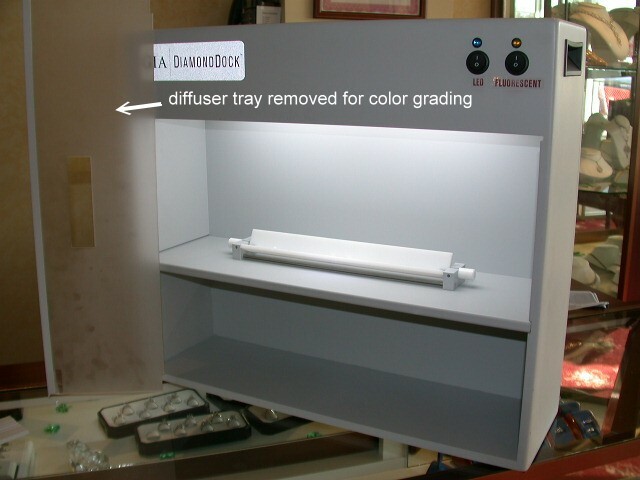 To grade color, the diffuser tray is removed, as shown in Figure D.
Before we acquired the DiamondDock we used diffuse daylight and direct LED lighting for diamond examination. We have found the lighting in the DiamondDock to be the best balance of brightness and intensity amongst the various lighting options available for assessing cut quality. Another interesting feature of the DiamondDock is the use of neutral gray as the backdrop color. Extreme color variations as a backdrop can alter a diamond’s natural appearance favorably or unfavorably. Before the DiamondDock, we used a transparent tray which allowed the neutral background of the observer’s skin to serve as the backdrop. GIA's decision to use neutral gray has the identical effect and was an extremely wise choice in the design of the instrument.